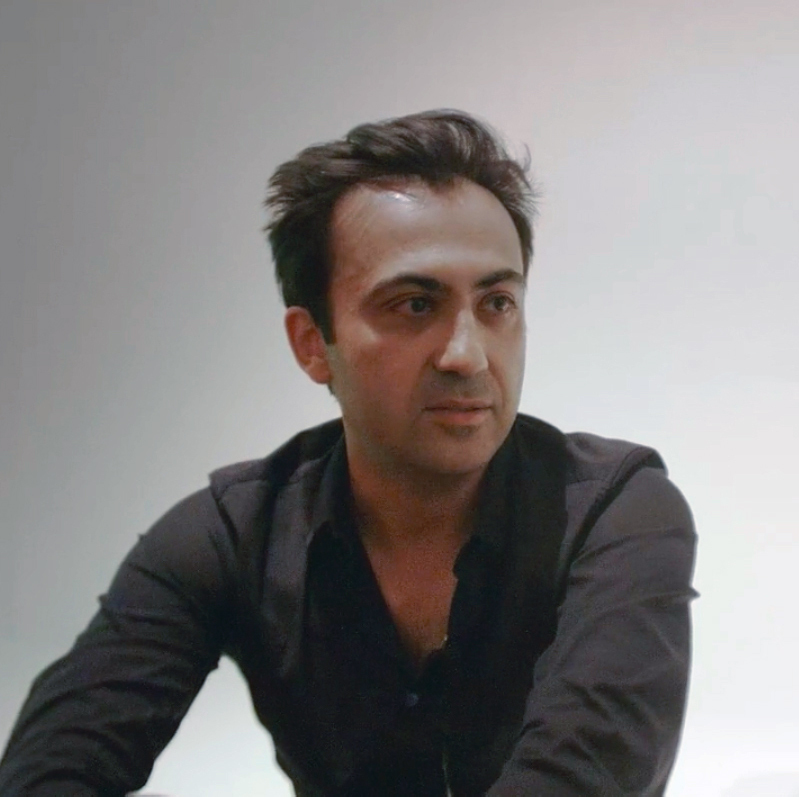 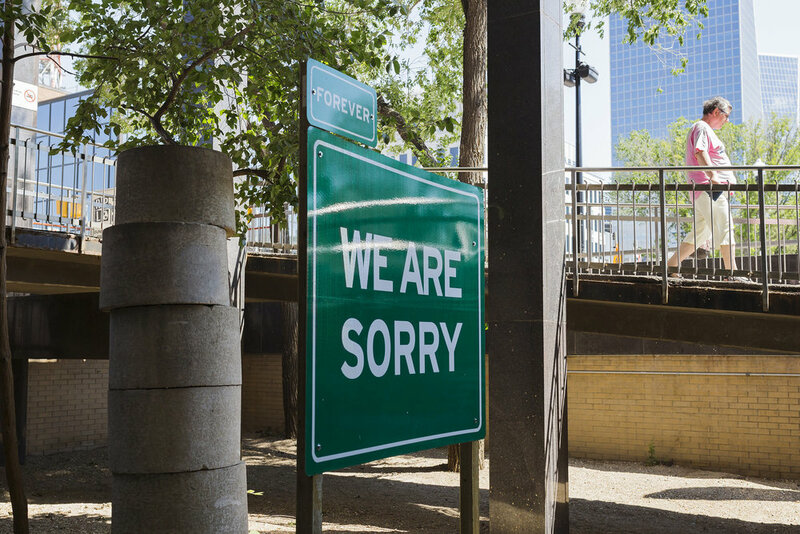 Made In Canada (2018) is an artwork resembling a highway sign. 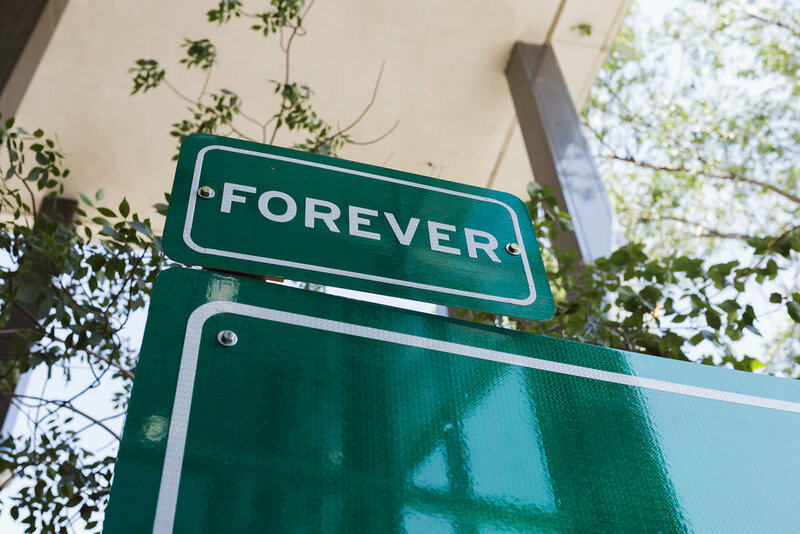 Whereas, a road sign provides information on what is to be expected ahead and never what has been left behind, Made In Canada provides a piece of admission that can stretch the time from the past, projecting onto the future. 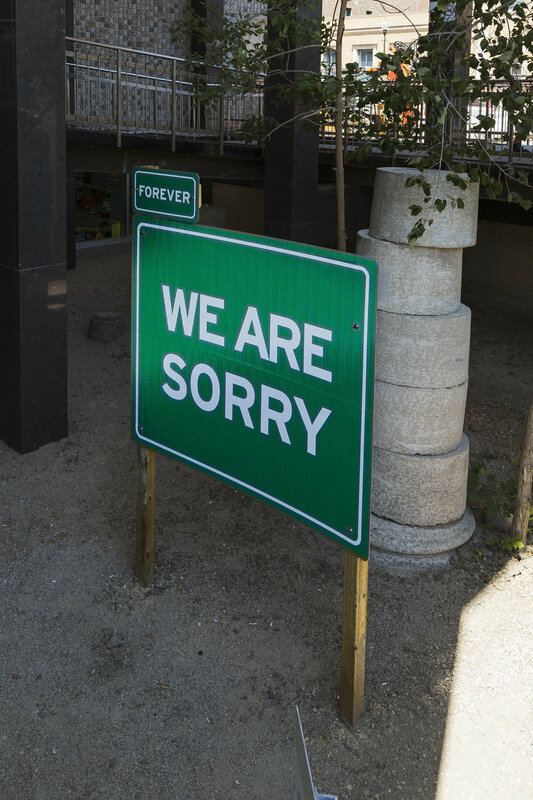 The text on the main body of the piece reads “WE ARE SORRY”, while the tab on the upper right-hand corner–in a much smaller type–spells out “FOREVER”, reflecting on our past dark moments in Canadian history; Moments, not only with the colonial takeover of the country and the mistreatments of the First Nations, but also the ongoing treatment and attitudes towards other minority communities, including the Doukhobors.